After two days of gruelling matches at the Real Insurance Kenya open senior qualifying battle for the main draw, a total of 16 players, six boys and the same number of ladies made it to the tournament’s main draw which kicks off Wednesday at the Nairobi club. 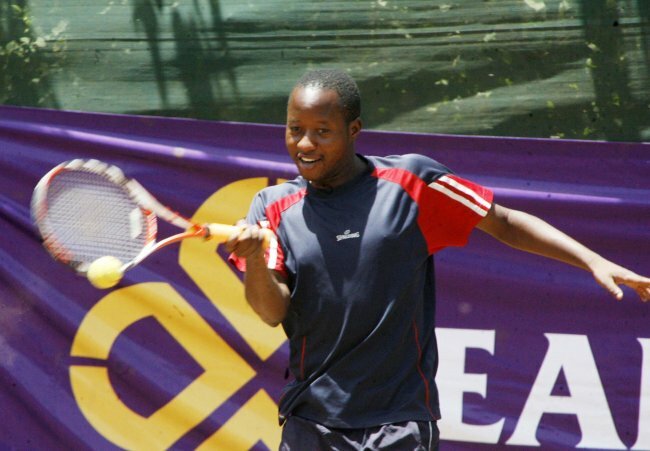 Joshua Owino beat David Kigunda in the final to sail to even a tougher stage, the main draw which has some of the experienced players such as Ugandan, Duncan Mugabe who will be all out to defend the title he won last year and Faiz Khan of Kenya and favourites Juma Changawa. The eight new players will join the other 25 senior players in the men’s single main draw while the number of women singles will be pushed to 27, from 19 who got automatic qualification to the main draw. Other players who made it to the next stage of the competition whose winner will pocket Ksh. 85,000 are David Oringa, Salum Riziki, Richard Ndesandjo, Alan Saha Atola and Moore Daniel. In the ladies category Eunice Wambui, Esther Nekesa, Maureen Cheptoo and Price Laura will join veterans Caroline Oduor, Veronica Osogo and Evelyn Otula. Other new entrants are Janki Pattni, Sharon Nyabinda,LavenderOyugi and Mariam Likimani. The Main draw tournament will start on Wednesday and among the new changes are the introduction of the wheelchair and veteran categories,which were introduced this year. The wheelchair men’s singles got a boost when Coach Riziki Salum and his player Mwita Assa Yohana landed in the country on Monday evening from Tanzania to take part in the tournament. The Tanzanian delegation tested the Nairobi club court late in the evening. The men’s double, Tanzania will partner with Kenya when Waziri Rajabu and Khasan Asani playing from ione side of the court against the opponent while Karanja Katarina will mix with Richard Ndesandjo as Juma Changawa play alongside Vicky Sabwa in the mixed double which will also have George Njoroge will partnering Wambui Kabetsa.